Zeeland resident Anna VanDeventer is the host of a new Christian cooking show, titled a "A Dash of Taste," on the TCT Network. Brian Forde. A Zeeland woman is combining two of her passions - cooking and Christ - in a TV show that's meant to educate and inspire. Anna VanDeventer is the host of a new Christian cooking show titled a "A Dash of Taste." The show is featured on the Illinois-based TCT Network, which is available on local cable. VanDeventer became involved in the show on the insistence of network founder Garth Coonce. VanDeventer previously worked as a national sales representative for Coonce, and her husband, Victor, is still employed by him. Whenever Coonce visits the West Michigan area, he stays with the VanDeventers and eats Anna VanDeventer's home-cooked meals. The network, which reaches more than 125 million homes in the United States, Europe, Asia, the Middle East, Africa, India, and the Philippines, features Christian programming but previously not in the form of a cooking show. "It was a great opportunity for me," VanDeventer said, adding, "It allows me to do what I love: cooking and also a chance to minister." VanDeventer and her co-host Dionne Williams bring the two together by beginning the program with a spiritual thought and tying in the food with something spiritual. For example, she said she paired a show featuring how to make food for entertaining a small or large group of guests with scripture about what it means to serve people as a servant of Christ. For each show, VanDeventer comes up with themes, such as holiday topics, along with other themes such as salad day and diabetics' day. 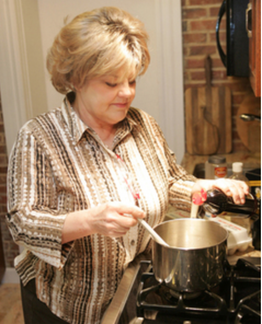 VanDeventer learned how to cook from her mother while growing up on a large farm in southern Indiana. She cooked for her siblings and the farmhands. She loves cooking Southern food with "lots of creams, butter, sugar. Everything is from scratch and served fresh." VanDeventer first featured her own recipes on the show but eventually viewers began sending in their own food creations from all over the world. "People send in a recipe and tell a little bit about the recipe and where it came from," she said. VanDeventer said the show has become quite popular, and she is even creating a cookbook to feature her recipes. The show airs at 6 p.m. Wednesdays and re-airs at 8:30 p.m. Thursdays and 6 a.m. Mondays. For more information on the show, visit www.tct.tv. Along with her TV show, VanDeventer stays busy as the manager of the Dekker Huis/Zeeland Historical Society Museum, chairwoman of the Zeeland Historical Home Tour, owner of The Baroness Boutique where she designs one-of-a-kind jewelry, founder of The Gathering, which is ministry to support women in ministry, and a motivational speaker for local churches and women's groups. 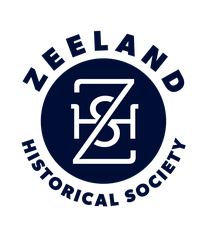 Also interested in restoring antiques and century homes, she and her husband own the Baert Baron Mansion in Zeeland.